Donald Michael Devitt was born on 11 July 1921 in Launceston, Tasmania, the son of William Francis Devitt and Kathleen Mary, née Maloney, both of Irish Catholic background. His father was a policeman who reached the rank of inspector. Devitt was educated at Smithton State High School from 1929 to 1937. In January 1942 he enlisted in the Citizen Military Forces (CMF), transferring to the AIF later that year and serving within Australia. Discharged in August 1944, he was transferred to the RAAF Reserve, which he left in July 1945. On 19 February 1947 Devitt married Dorothy Eleanor Malley, a clerk, at St Brigid’s Church, Wynyard. The couple would have two children. Embarking on a career in local government administration, Devitt was employed as a council clerk between 1946 and 1956, becoming Clerk of Petty Sessions, Registrar of the Court of Requests and Registrar of the Court of General Sessions in Queenstown, Scottsdale and Beaconsfield. While at Scottsdale he assisted in the establishment of a CMF unit of which he became adjutant. Leaving Beaconsfield in 1956, he took up dairy farming at Trowutta, south of Smithton. Devitt joined the ALP in the mid-1950s, becoming president and secretary of the local branch, and later admitting to a slight ‘right-leaning tendency’. In 1961 he was endorsed on the Tasmanian ALP Senate ticket for the December election, but was unexpectedly beaten by popular independent R. J. ‘Spot’ Turnbull. Employed as bursar at Brooks High School, Launceston, Devitt resigned prior to the December 1964 Senate election, at which he was elected from the top position on the ALP’s Tasmanian Senate ticket. Sworn on 17 August 1965, Devitt was re-elected in 1970, 1974 and 1975. In 1969 he was a member of the ALP’s Federal Executive and of the Tasmanian state executive. During the 1970s, he served on two Caucus committees: urban and regional development, and education, arts and science. Devitt had an abiding interest in local government and saw himself as its spokesman in the Senate, asserting that local government operated on a ‘horse and buggy system’. Devitt thought all Australian communities were entitled to the same level of service provision as that enjoyed by the ‘privileged’ citizens of the Australian Capital Territory. Presciently, he visualised a time when local authorities would be represented at the Premiers’ Conference, and in his first speech recommended that revenue raised from a tax on petrol be allocated to road construction. A sound party man, though prepared occasionally to act independently, in 1966 he supported an ALP amendment to the New Zealand–Australia Free Trade Agreement, designed to prevent the removal of protective tariffs on frozen beans and peas, cheese and pig meats. Devitt argued that the phasing-out of these tariffs constituted a threat to Tasmanian producers. He demonstrated how Tasmanian dairy farmers augmented their incomes by growing vegetables for newly developed processing plants. He strongly supported Tasmanian fruit growers and stressed the need for them to seek export opportunities in Japan. In the wake of the southern Tasmanian bush fires of February 1967, he applauded the bipartisanship displayed by all levels of government in funding the cost of the recovery. Devitt was sensitive to the economic and political importance of shipping to Tasmania’s producers, and to tourism. He was at times critical of what he saw as mismanagement in the operations of the Australian National Line, especially in relation to passenger bookings. He denounced the anti-competitive features of the two-airline policy. Other concerns were the need for improved airport facilities for north-west Tasmania and, more importantly, the high charges on freight for primary producers, especially for the dairy farmers on the soldier settlements on the Bass Strait islands. His empathy with ex-servicemen was apparent in his membership of the Joint Select Committee on Defence Forces Retirement Benefits Legislation, and in his support of a 1974 measure to increase loan (mortgage) ceilings to assist ex-service personnel cope with inflation. Drawing on his local knowledge and experience, he spoke passionately during a 1976 urgency motion on Tasmanian unemployment, following the proposal to retrench 400 employees at the Mount Lyell Mining and Railway Company in Queenstown. In 1976 Devitt sat on the Senate Select Committee on Mount Lyell Mining Operations that led to the enactment in 1977 of the Tasmania Grant (The Mount Lyell Mining and Railway Company Limited) Bill. In the debate on the Defence Force Re-Organization Bill 1975, Devitt entered into a heated exchange with the Liberal Party’s Sir Magnus Cormack, who had intervened during his speech. Put off his stride, Devitt told the urbane Cormack to ‘keep quiet’ and ‘sit down’, averring that Cormack liked ‘to let everybody know just … what a wonderful sabre rattler he was’, and adding that the senator was becoming ‘a bit of a laughing-stock’ and ‘a hopeless bore’. On the whole, such comments were uncharacteristic of Devitt, though he liked to keep honourable senators in their place, as occurred during debate on the States Grants (Schools) Bill in 1973, when he asked Senator Webster: ‘Would you keep quiet, please? Please, can I appeal to every sense of decency in you, if any’. When called to order, Devitt obeyed, but could not resist adding that he had ‘just disposed of Senator Webster’. As a member of the Joint Select Committee on the New and Permanent Parliament House, Devitt made an extensive overseas trip as one of the committee’s delegation, visiting parliamentary buildings around the world, as well as the United Nations buildings in New York and Geneva. When the Minister for Supply, Senator Kenneth Anderson, announced on 29 May 1969 that Camp Hill would be the site for the new Parliament House, Devitt was angry because, he said, in August 1968 the Senate had passed a motion favouring Capital Hill. His position was somewhat weak, as he had not been present at the select committee meeting which had made the decision to recommend Camp Hill. Devitt declared: ‘I was not elected … to submit to the will of the Prime Minister … I was elected by the people of Tasmania to represent their interests’. No doubt he was relieved when in 1974 the Parliament voted in favour of the higher ground, Capital Hill, though by then he was not a member of the committee concerned. Devitt maintained an interest in the development of the national capital. He successfully moved for the establishment of a select committee on the future of the Canberra abattoir in June 1969 after the Government failed to debate the issue in Parliament, or refer it to the Joint Committee on the Australian Capital Territory, of which Devitt was a member. As chairman of the new select committee, and a former administrator of an abattoir in Tasmania, he criticised the Government for maladministration of the abattoir, as well as its decision to sell the facility, and its gross undervaluation of the asset. 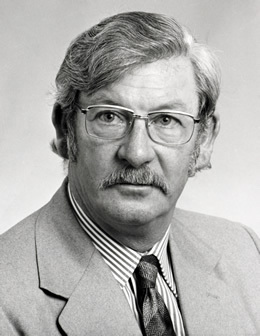 In 1977 Devitt welcomed the Fraser Government’s announcement that legislative and executive functions would be delegated to the ACT Legislative Assembly, arguing that the initiative was an important step in the constitutional development of the ACT. In early 1978 Devitt accompanied departmental officials on a voyage to the Australian Antarctic Territory, becoming the first senator to visit Macquarie base and Mawson’s Hut. He recommended that the hut be repaired and be preserved in situ. He told the Senate that ‘you would no more move Mawson’s hut than you would move the pyramids’. He urged the Government to expand its activities in the Antarctic and improve conditions for Australians working there. In 1971 Devitt was defeated by Justin O’Byrne in a party room ballot for the Senate presidency, and he was twice an unsuccessful candidate for the position of Government Whip in 1972 and 1974. He served as deputy Government Whip in the Senate from 1974 to 1975, and was temporary chairman of committees (1974–78). Known for his love of singing and playing the guitar, he once provided a rendition of ‘Waltzing Matilda’ as a member of a parliamentary delegation to the USSR, Sweden and Denmark in 1973. In the Senate election that followed the 1975 double dissolution, Devitt won a half-Senate term, due to end in 1978. In June 1976 he announced that he would not stand at the next general election, thereby retiring when his term ended on 30 June 1978. In his valedictory speech, he mentioned his musical interests, and said he looked forward to sailing his yacht, Terra Nova. Reflecting on his Senate career, he feared for parliamentary democracy unless there was ‘more listening to the backbenchers’. Devitt praised the development of the Senate’s committee system, and said that the greatest reward derived from his political career was being ‘able to help a lot of people’. He claimed that Prime Minister Whitlam’s dismissal in 1975 had temporarily undermined his confidence in the political system. For a few years after leaving the Senate, Devitt was involved in real estate. He enjoyed his hobbies including lapidary (with a special interest in opals) and silversmithing. He recalled attending the opening of the new Parliament House in 1988 and, although impressed with the facilities, admitted that he retained a sentimental attachment to the 1927 building. Devitt remained active in the Tasmanian ALP and was ‘very supportive’ of new candidates. The leader of the Australian Greens, Senator Bob Brown, later described Devitt as ‘an instantly likeable character who extended friendship, accommodation and encouragement’. Known to his family as ‘Dee’, Devitt died in Burnie on 10 July 2008. He was an indefatigable protector of Tasmanian interests. Devitt, Donald Michael—Defence Service Records, B2458, 616890 and A9301, 438178, NAA; The editor acknowledges the assistance of Jill Kay, Smithton High School, Tas., David Hutchings, West Coast Council, Zeehan, Tas., Judith Peters, Dorset Council, Scottsdale, Tas., and Rick Franklin, West Tamar Council, Beaconsfield, Tas. ; Mercury (Hob. ), 7 Dec. 1964, p. 7. CPD, 26 Aug. 2008, p. 3661; Mercury (Hob. ), 21 Dec. 1961, p. 3, 7 Dec. 1964, p. 7; Richard Davis, Eighty Years’ Labor: The ALP in Tasmania, 1903-1983, Sassafras Books and the History Department, UTAS, Hobart, 1983, pp. 129–30. CPD, 18 Mar. 1976, p. 643, 26 Aug. 1970, p. 277, 7 May 1970, p. 1259, 26 Sept. 1967, p. 921, 11 Nov. 1965, pp. 1493–4, 10 May 1967, p. 1309, 21 Apr. 1966, pp. 501–12, 535–40, 22 Feb. 1967, pp. 77–8, 5 May 1970, p. 1090, 16 May 1967, pp. 1555–60. CPD, 29 Mar. 1966, pp. 288–91, 15 May 1968, pp. 1003–6, 27 Apr. 1972, pp. 1402–5, 10 Sept. 1968, pp. 489–90, 7 Nov. 1968, p. 1795, 14 Oct. 1970, pp. 1124–6, 12 Oct. 1966, pp. 987–8, 26 Aug. 1970, p. 278, 6 Apr. 1967, p. 617. CPD, 3 Dec. 1974, p. 3047, 9 Nov. 1976, pp. 1724–7; CPP, 352/1976; Advocate (Burnie), 5 Nov. 1976, p. 1; CPD, 7 Nov. 1977, pp. 2187–90. CPD, 26 Aug. 1975, pp. 255–9, 5 Dec. 1973, p. 2481; CPP, 32/1970, p. 13; CPD, 29 May 1969, pp. 1799–1800, 1803–4; Senate, Journals, 22 Aug. 1968, pp. 172–3. CPD, 3 June 1969, pp. 1939–43, 1959–61; CPP, 99/1969; CPD, 19 Sept. 1969, pp. 1119–20, 26 Sept. 1969, pp. 1521–3, 15 Sept. 1977, pp. 844–5, 2 Mar. 1978, pp. 323–31; DT (Syd. ), 5 Jan. 1978, p. 2. ALP, Federal Parliamentary Labor Party minutes, 16 Aug. 1971, box 3, 18 Dec. 1972, box 14, 10 June 1974, box 15, MS 6852, NLA; CPD, 9 July 1974, p. 12; Senate, Journals, 10 July 1974, p. 18, 22 Feb. 1978, p. 22; CPD, 26 Aug. 2008, pp. 3661–2; Mercury (Hob. ), 16 July 1973, p. 6; Advocate (Burnie), 14 June 1976, p. 2, 1 July 1978, p. 4; Letter, D. Devitt to author, 28 Aug. 2002; Guest list for New Parliament House opening day ceremony and reception, A9259, 2, NAA. This biography was first published in The Biographical Dictionary of the Australian Senate, vol. 3, 1962-1983, University of New South Wales Press Ltd, Sydney, 2010, pp. 160-163.